Visual Football © 2008 Visual Sports Systems. Players take the quarterback position and throw real footballs to moving receivers at different distances and positions on the field. 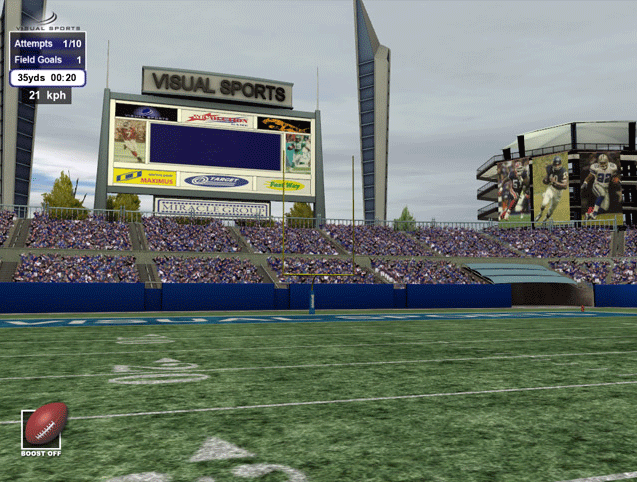 Players kick real footballs through the on-screen uprights in an authentic stadium background. Kicking distances increase as the player's kicking ability is proven.